You know what? We get it...sometimes, we get really annoyed with teenagers, too. They walk around like they own the world, not even bothering to show their elders any respect. Even worse, they somehow think they're entitled to clean up the crime-ridden streets that you and your mutant rhino buddy have enjoyed for years. It's like, get in line, kids! Right? You've worked hard to enjoy the life of crime you've built, and now they think they can just jump in with their ninja skills and ruin it? You know who we blame it on? The parents. After all, it was their father-figure Shredder who totally annihilated you (sorry, don't mean to bring up bad memories), which forced you to join the Foot Clan. And yeah...maybe you had another path planned for yourself, especially after you got doused with that mutagen ooze, but here we are. 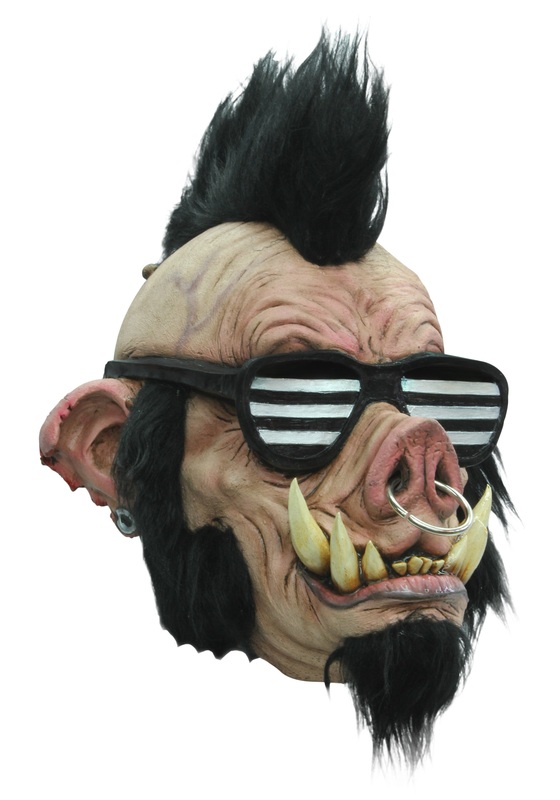 So here's what we suggest...pull on this crazy Boar Punk Mask, team up with your best rhino buddy, and get pumped to fight those teenage turtles. So they've got ninja skills! You've got maturity and experience! (Okay, maybe one more than the other...okay, maybe neither, but you want it more!). You've also got this super sweet latex mask with a synthetic hair mohawk, sideburns, and a goatee...can a teenager pull off this badass look? Nope! And your molded sunglasses will always stay on your face as you're swinging those large tusks around, which is a huge bonus. No matter who wins or loses (after all...those kids are ninjas...) you'll be looking rad and bad until the end of the fight!